Should I Have a Quality of Earnings Report Done? What is a quality of earnings report? Why would I want one done for my business? How does a quality of earnings report help as I’m getting ready to make an acquisition or sell my company? 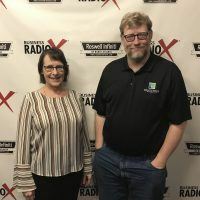 These questions and more are answered in this episode of “Decision Vision,” as host Michael Blake, Director of Brady Ware & Company, interviews Teresa Snyder, Director of Brady Ware & Company. Teresa Snyder is a Director of Brady Ware & Company. Teresa has over twenty-five years of experience in public accounting and private industry. Her experience includes not-for-profit organizations, professional service firms, wholesalers, manufacturing and importers/exporters of various industries. Teresa has assisted her clients in a broad range of general management and financial consulting services, accounting systems design, and accounting and financial reporting issues. Brady Ware & Company is a regional full-service accounting and advisory firm which helps businesses and entrepreneurs make visions a reality. Brady Ware services clients nationally from its offices in Alpharetta, GA; Columbus and Dayton, OH; and Richmond, IN. The firm is growth minded, committed to the regions in which they operate, and most importantly, they make significant investments in their people and service offerings to meet the changing financial needs of those they are privileged to serve. The firm is dedicated to providing results that make a difference for its clients. 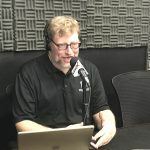 Decision Vision is a podcast covering topics and issues facing small business owners and connecting them with solutions from leading experts. This series is presented by Brady Ware & Company. If you are a decision maker for a small business, we’d love to hear from you. Contact us at decisionvision@bradyware.com and make sure to listen to every Thursday to the Decision Vision podcast. Past episodes of Decision Vision can be found here. 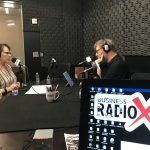 Decision Vision is produced and broadcast by Business RadioX®. Intro: [00:00:01] Welcome to Decision Vision, a podcast series focusing on critical business decisions, brought to you by Brady Ware & Company. Brady Ware is a regional, full-service, accounting and advisory firm that helps businesses and entrepreneurs make vision a reality. Michael Blake: [00:00:20] And welcome back to Decision Vision, a podcast giving you, the listener, clear vision to make great decisions. In each episode, we’ll discuss the process of decision making on a different topic. Rather than making recommendations because everyone’s circumstances are different, we’ll talk to subject matter experts about how they would recommend thinking about that decision. Michael Blake: [00:00:40] Hi. This is Mike Blake. And I’m your host for today’s program. I’m a Director at Brady Ware & Company, a full-service accounting firm based in Dayton, Ohio with offices in Dayton; Columbus, Ohio; Richmond, Indiana; and in Alpharetta, Georgia, which is where we are recording today. Brady Ware is sponsoring this podcast. If you like this podcast, please subscribe on your favorite podcast aggregator, and please also consider leaving a review of the podcast as well. Michael Blake: [00:01:04] So, today, we’re going to talk about something called quality of earnings reports. And this an important topic. We’re, right now, at a high point over the last 10 years of merger and acquisition activity, which in English means that businesses are being bought and sold all over the place, and valuations are very attractive, financing is out there. Whether you think it’s back to the good slash battle days of 2006 -2007, I’ll leave it to you to make that determination. But the fact of the matter is that buying businesses is definitely back, and it’s back in style. Michael Blake: [00:01:42] And as it turns out, a lot of that or a lot of my practice in the business appraisal happens to be in the M&A world. And my job is to help a client figure out the appropriate price and, to a certain extent, the terms associated with the transaction. But within that process of examining a transaction, there’s this thing that we call due diligence. And due diligence, when we really get down to it, is really just trying to answer the question, is this business what the seller says the business is? It’s really all that and a bag of chips basically. Michael Blake: [00:02:22] That due diligence process, if it’s done well, is typically very involved and a very engaged process. It sometimes takes 30 days. Usually, it takes 60 to 90 days. And I’ve seen it go as far or as long as 180 days if it’s a particularly complicated transaction. And the due diligence process will involve everything from legal due diligence, intellectual property, customer due diligence, and so forth. And to be perfectly candid, from the seller’s perspective, it’s about as comfortable as your garden variety colonoscopy. But if you want to sell your business, you want to get the right price for it, that’s what you got to do. There’s just no alternative to it. Michael Blake: [00:03:07] Now, financial due diligence, of course, is an important part of this entire kind of investigation and, sort of, crunching the numbers. And what we’re going to learn about today is, kind of, a specialized portion of that financial due diligence that’s called quality of earnings. And what quality of earnings means at the end of the day is that not all earnings are alike. Accounting is a funny thing. Accounting is a language. And like any language, a word or a term can mean different things depending on the context, depending on the syntax of that conversation. Michael Blake: [00:03:47] And so, quality of earnings can mean different things to different people, to different buyers. And looking at quality of earnings has become much more in vogue. I’ve seen it come much more in vogue in, say, the last 10 years where a specific exercise is done, not just to, kind of, validate the numbers that are presented, but really dig into what do those numbers mean, is the financial performance of the company sustainable, is it telling us the story of what we would like to do. Michael Blake: [00:04:19] But, of course, with performing additional due diligence, that means extra expense, extra time, extra fees. So, the question comes up, does it make sense to perform or have a quality of earnings report done on this particular transaction? Michael Blake: [00:04:35] And for those of you who have listened before, I am not qualified to tell you that. I’m not an accountant. I’m not a CPA. I don’t even do my own taxes. But I have somebody here today who is qualified to help us answer that question. And she is my friend and business partner, Teresa Snyder. Michael Blake: [00:04:50] Teresa is an audit partner with with Brady Ware. She has over 25 years of experience in public accounting and private industry. Her experience includes not-for-profit organizations, professional services firms, wholesalers, manufacturing, and importers/exporters of various industries. Teresa has assisted her clients in a broad range of general management and financial consulting services, accounting systems design, and accounting and financial reporting issues. Michael Blake: [00:05:17] In addition to providing clients service, Teresa serves as the Atlanta Audit Leader for the firm. She has earned the AICPA IFRS, which means international gap certificate. Prior to joining the firm, Teresa specialized in software consulting and implementation of fully-integrated accounting software for various types of organizations, including wholesalers, and manufacturers, and importers/exporters. Now, until I looked this up, I did not know you are that much of a tech head. You’ve been holding out on me. Michael Blake: [00:05:44] Teresa is a CPA in Georgia and a member of the American Institute of Certified Public Accountants and the Georgia Society of Certified Public Accountants. Teresa has served as a coach for youth sports and is involved in a variety of not-for-profit organizations in which she holds leadership positions. Teresa, thank you so much for coming on the program today. Teresa Snyder: [00:06:05] Thank you, Mike. Happy to be here. 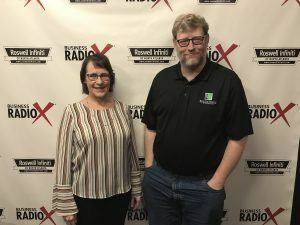 Michael Blake: [00:06:07] So, let’s, sort of, before we get into it, I’d like to learn a little bit more and let our listeners learn a little bit more about your role at Brady Ware. When we say that you’re the Director of the Audit Leader of the Atlanta office of Brady Ware, what does that mean? What does somebody who hears that take away from it? Teresa Snyder: [00:06:28] Well, our team provides audit and review services that help our clients in meeting their financial reporting obligations to investors and bankers. We also serve as advisors to our clients in a variety of business transactions, which include M&A transactions. Michael Blake: [00:06:47] Okay. And one of the services that you provide out of this office is a quality of earnings analysis. Teresa Snyder: [00:06:54] Yes, that’s correct. Michael Blake: [00:06:55] So, somebody is buying a company, and they’re really interested, but they think that they would like to kind of do that deep dive into the financials. That’s something that you do through your practice, correct? Teresa Snyder: [00:07:11] Yes, that’s right. Michael Blake: [00:07:12] So, what is a quality of earnings analysis exactly? What is a client buying? Teresa Snyder: [00:07:18] Well, it’s a detailed analysis of all the components of the company’s revenue and expenses, their operating cash flows, and their assets and liabilities. Typically, we’re going to look at a period of about 24 to 36 months of financial data, so that we can assess the accuracy of the historical data and consider the sustainability of future operations. Michael Blake: [00:07:42] So, I’d like to hone in a little bit on the sustainability. What are the kinds of things that make operations or make earnings sustainable versus not sustainable? Teresa Snyder: [00:07:52] Well, we’re looking for transactions such as non-recurring items. They might be non-recurring revenue. It might be a one-time revenue opportunity that a company had and is not present in the future on an ongoing basis. Michael Blake: [00:08:09] Now, one thing, actually, I’m engaged, and I’m working on right now, I’ve got client who’s thinking about buying a company. And then, all of a sudden, their expenses went down conveniently right before the transaction is supposed to take place. And we’re kind of suspecting, but we don’t know that what’s happened is they’ve delayed their expenses to make that look good. And then, those expenses will wind up popping up after the transaction. Is that something that a quality of earnings analysis can bring to light for a client? Michael Blake: [00:09:10] … if you want it done well, right. If you want to go into it blindly, it’s very cheap. It’s not cheap to do it well. On top of all the other fees we got going on, paying somebody like me for appraisals, tax advice, investment bankers, lawyers, everything else, when does it make sense to think about adding a quality of earnings study onto that to-do list or onto that venue? Teresa Snyder: [00:09:36] Well, I think, the quality of earnings study, going through that process, part of it is to normalize your EBITDA. That’s your earnings before interest, taxes, depreciation, and amortization. Michael Blake: [00:09:51] And that’s often a proxy for cash flow, right? Teresa Snyder: [00:09:54] Correct. And so, then, once you normalize your EBITDA for the time period that you’re looking at, then you’re also going to start looking for those one-time transactions. And, generally, they’re going to be add-backs. They might involve owner transactions that wouldn’t be present in the future operation. There could be a variety of of add-backs to that number. And you’re trying to — once you normalize the EBITDA, that becomes your basis for establishing the multiple, which is your selling price. So, it’s very important. That number is critical in the sales transaction. Michael Blake: [00:10:32] So, I want to touch upon — so, it’s not uncommon, it sounds like, that for even a seller to have a quality of earnings done on their own company, right? Almost like having a private investigator investigate yourself. Teresa Snyder: [00:10:46] Correct. So, there can be two different approaches. Typically, the buyer is the one that’s going to commission the quality of earnings study. They’re going to use it for their own purposes to decide if what they’re looking at buying has a sustainability that they’re looking for. But a seller could also — and I have seen that, a seller might commission a quality of earnings study in preparation for going to market, or a buyer has come to them, and they want to see what it looks like, and are they being offered a fair price. Michael Blake: [00:11:19] And I think that’s a smart thing to do because selling a business, in addition to being expensive, is hard. It’s complex. You and I both know the business owners, and they’re selling a business. It’s both an exciting and stressful time. Teresa Snyder: [00:11:38] Yeah, exactly. Michael Blake: [00:11:48] Right? So, you’re getting very constructive, very practical criticism about the business. And that’s a lot easier to react to in a constructive way if you already know that criticism is coming, right. And maybe even, you’re in a scenario where you know that criticism is coming, but because you had that study done before the seller even finds out about it, maybe it discloses them proactively. And that can create a positive impression, create trust in the conversation. But the minute, at least, then, you’re prepared for it, right? Michael Blake: [00:12:21] So, you don’t you don’t react to it in a panic, right. Is that a fair way to think about it? Teresa Snyder: [00:12:25] Yeah, I think so. And even if you back up and take even a longer-term view, and you go through this process or some version of this process, then you can react to it and act on opportunities that you might be missing or make corrections in areas that need to be corrected before you ever go into the marketplace. Michael Blake: [00:12:46] Interesting. So, can you think of examples of those, kind of, opportunities that might surface if you do this preemptive, proactive QoE or quality of earnings? And if I understand you correctly, it sounds like you don’t necessarily have to wait until there’s a pending transaction. You may just do it as a matter of good management. Is that fair to say? 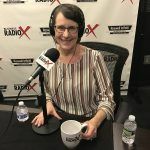 Teresa Snyder: [00:13:06] If you’re anticipating that you want to sell at some point in the future, and again you may not go through the full level of the quality of earnings analysis, you might do — there are some other engagements and agreed-upon procedures. And a lot of business owners know if they have a problem area. And so, that could be something that a business owner might enter into to help construct what are our challenges here, and perhaps what are some things that we can do to correct that. Michael Blake: [00:13:38] Okay. So, a question I hear a lot is, what if the firm’s financial statements are already audited, right? There’s a perception, which I’m not sure is entirely right, but there’s a perception that because an audit has been done, automatically, they’re going to catch these things. And we had one of our colleagues, Randy Domigan on a few weeks ago and talked about forensic accounting. And audits don’t necessarily catch fraud, for example. Is it reasonable to assume that because there’s a gap compliance audit with a clean opinion or an unqualified opinion, is it reasonable to assume that there’s a quality of earnings report kind of baked in, or do you really need to kind of parse that out and separate that out because that’s a more separate detailed exercise? Teresa Snyder: [00:14:32] That’s a great question. And there is absolutely added value to a quality of earnings study on top of an audit. So, an audit or even a review, which is a lower level of service, either one of those are a great tool to enter into a transaction or enter into discussions. Adding the quality of earnings study, it has a lot more key details of what’s occurring in the business. Those details are not going to be contained in the audit, and you won’t go through that process of normalizing the EBITDA and looking through what those add-back items might be that might be unique to your business but not necessarily to the industry. Michael Blake: [00:15:20] Now, as a buyer, I might be thinking to myself, “I’m retaining attorneys, and I’m paying the 400-500 bucks an hour or more. I’m working with investment bankers, and they’re doing their thing. They’re getting their fees, and all kinds of advisors.” Aren’t they already doing this? Isn’t this already part of their normal scope? Teresa Snyder: [00:15:45] No, they’re not. Everyone works in their specialized areas. And so, the attorneys are focused on the legal due diligence issues. The investment bankers are looking at how to market your company, and how to negotiate your selling price, and how to represent you in that particular transaction. So, the CPA is the accounting advisor as a part of that team. And putting that team together can help you successfully navigate a transaction and, hopefully, navigate — or excuse me, but, hopefully, to achieve your maximum selling price. Teresa Snyder: [00:16:23] So, it does cost a lot of money for all of these professional services. But, again, going back to the CPA, the other part of the team is looking to them for their expertise and applying gap, which is generally accepted accounting principles. That’s what’s used in the audits and the reviews. And once you start applying gap, you’re taking that company, and you are measuring the transactions of applying consistency, and comparability, and reliability to the numbers in their financial statements. Michael Blake: [00:16:58] Okay. Now, as we know, not every business acquisition is a financially-driven transaction. We can see this in some of the price multiples that are paid. Maybe there’s a strategic customer, or maybe there’s a piece of technology, maybe they just want to hire some of the talent. The only way they can do that is through an acquisition. In that case, does a quality of earnings report still make sense? Teresa Snyder: [00:17:23] It possibly could from a buyer perspective. It really depends. They may want to look at the historical transactions and use that as a measure of not only the sustainability but the future predictions of what they anticipate doing with that business. Michael Blake: [00:17:43] Okay. So, what are the most common issues you see that come up in a quality of earnings report? What is, sort of, on your checklist? Teresa Snyder: [00:17:53] Well, the top one is inconsistency in financial reporting. And this goes back to the gap financial statements. Not all companies are preparing GAP financial statements. They don’t necessarily have to in terms of their tax compliance. So, even though their work might be going through a CPA for tax preparation, it doesn’t necessarily mean their financial statements are in accordance with gap. And so, inconsistency is a big thing. The gap part of that process is comparability and consistency of the financial statements and the reporting. Teresa Snyder: [00:18:31] You also have, again, the non-recurring items or the understated expenses. If you’re trying to defer expenses in accordance with gap, you’re going to accrue that. The businesses is incurring those expenses. They just haven’t paid for them yet. So, again, you also identify related party relationships, and transactions, and owner items. That’s all a part of that process. Michael Blake: [00:18:57] So, when you say inconsistencies, what’s an example of something that you might find an inconsistency and that winds up being material potentially to the transaction? Teresa Snyder: [00:19:07] There, generally, are — cutoff is a big issue for a lot of companies, especially smaller businesses. So, the proper timing and recording of sales transactions, and the allocation of expenses, or the matching of expenses to those revenues generated, those are generally your two top areas where you’ve got cutoff and maybe not consistency and reporting. Michael Blake: [00:19:33] Now, have about revenue? How about the way in which revenue is recognized? I see that in an area that’s near and dear to my heart, which is technology. And what about revenue recognition? Can you, sometimes, see inconsistencies there and how revenue recognition is applied? Teresa Snyder: [00:19:50] Absolutely. Revenue recognition is different among different industries. And technology is unique to some other industries or other businesses. So, yes, you can see differences in revenue recognition. And, of course, the standards are changing for that as we speak. They’re going into effect this year for private companies. And so, that may present a challenge to some private companies for transactions over the next two years is working through the revenue recognition issues. Michael Blake: [00:20:25] So, on, sort of, the other side of this process, you go through a quality of earnings process. Have you seen it? Have you seen instances where it’s actually kind of changed the price in terms of a deal? The deal typically starts with the letter of intent, which we both know is varying degrees of not that binding. It’s really just a place holder. Have you seen it since where the QoE basically changed the parameters of the deal? Teresa Snyder: [00:20:56] Yes, it can. It can start reducing that multiple of the EBITDA. So, a seller who enters into a transaction, and they have their financial reporting house in order, so to speak, and they are able to substantiate all of the information that they’ve reported, they’re generally able to hold on to that initial selling price and not face the adjustments. Michael Blake: [00:21:25] Now, another concern that I wonder if clients have, particular if a transaction is ongoing, we all know good transactions take a long time to unfold. When there are millions of dollars involved, grownups are careful making decisions around millions of dollars. And so, a concern might be, “Oh boy, we’re already doing X, Y, and Z. We’re negotiating. We’re doing the due diligence. If we inject a quality of earnings report into this discussion, am I going to drag this thing out yet more months and might just never going to sell this business?” I mean, how do you frame that conversation, or is that even a legitimate concern? Teresa Snyder: [00:22:08] The due diligence process is lengthy. And I think you described it accurately. And it can be a painful exercise for you’re still trying to run the business, but at the same time, you’ve got to address all of the due diligence items in this transaction. And they do take a lot of time. And you’re addressing, again, your legal diligence, your tax diligence. There’s so many issues. Your customers, your HR, the culture. There are many, many aspects of it. Teresa Snyder: [00:22:39] So, it’s all running concurrently, and you’re hitting all of these fronts at the same time as you’re going through this process. The quality of earnings study could potentially add time to it. It may depend on the complexity of your revenue and expense streams. Again, if the house, if your financial reporting is in order, if your books are current, and they’re accurate, and you’re able to quickly respond to questions, then it’s going to speed up that process. But if you’re asked a question, for instance, to produce an accounts receivable report, and, now, you’ve got to take some time to put one together because you haven’t been maintaining it, those things just keep adding time from the seller’s perspective. Michael Blake: [00:23:32] Okay. So, one of the things I think, also, a client has to think about, and certainly in the appraisal world, it’s t’s very important because gathering data is the lifeblood of what we do. And, sometimes, I wonder if the client wonders who’s working for whom sometimes. Teresa Snyder: [00:23:52] That is true. Michael Blake: [00:23:54] I’ll get 50 questions from me. And, all of a sudden, they find out they have to blow a whole morning, or an afternoon, or sometimes more getting us the data. Does a quality of earnings look like that? And if I’m a client, I’m signing up for this, I’m not just signing up for the money but also the time I got to invest, how much of the client’s time or typically at what level of the organization does that time need to be spent? Teresa Snyder: [00:24:18] I guess, the answer to that depends on the kind of team that you have in place. So, if you have an accounting and a finance team in your organization, obviously, they’re going to be able to field most of the questions when it comes to quality of earnings study. The owner potentially may need to get involved in terms of explaining some things, but it depends on the quality, and the training, and the experience of the accounting team that that you have. Michael Blake: [00:24:46] Okay. Now, do you find that the quality of earnings makes a difference in terms of the impression on the parties in the transaction, the advisors in the transaction? Maybe you’re a seller, and you’ve already got a QoE, you’re ready to go, or maybe your buyer, and you want to buy the business, but you still have to get the thing financed. Do other parties appreciate kind of having the quality of earnings report ready to go, done, kind of part of the package, or are they a little maybe a little bit more blasé about that, and they kind of think, “Well, we’ll get to it when we get to it”? Teresa Snyder: [00:25:21] Like many answers in our business, I think, that depends. Some buyers may not rely on a quality of earnings report that you provide to them. They may want to have their own report commissioned. Sometimes, depending on the complexity and, obviously, the dollar value of the transaction, sometimes, they will want to see national firms conduct the quality of earnings study. Teresa Snyder: [00:25:48] So, again, it depends. They might read it and decide if they question that report or the credibility of that report. And they may decide to accept it if they’re satisfied with what they see, and it’s consistent with the information that you’re providing. So, that’s hard to say. If you’ve gone through it on your own and in advance of entering into a sales transaction, and you have to go through it a second time, it’s certainly not going to be as painful because you have the information. You know what it is and what they’re looking for. Michael Blake: [00:26:45] … before the bets are in, right. So, that’s a delicate thing that I have to work around on my practice. I’m curious, does that come up on your end to where maybe somebody doesn’t want to do the buyer’s work for them and at their expense and kind of risk exposing anything in advance? Again, is that a reasonable concern to have? Teresa Snyder: [00:27:09] I guess it could be. I think it depends on how much they know and understand their business, I guess, and, perhaps, what they think the buyer is looking for or might find. Generally, if they’re trying to hide something somewhere it’s going to come out at some level. So, that’s generally not advisable. The buyer, if a buyer commissions a report, which is what we’ve seen historically, they don’t necessarily have to share that information. Now, they may choose to, but they don’t have to share that information with the seller. Teresa Snyder: [00:27:48] And, again, I think from the seller’s perspective, it’s their option if they want to share that with the buyer. They may want to share it in the hopes that they don’t have to go through the process again or, you know what I mean, it can be very positive information that comes out of that quality of earnings report. And so, it could be to their advantage to share it. Michael Blake: [00:28:08] There’s certainly something to be said for getting out in front of the entire discussion. Teresa Snyder: [00:28:14] I think so on many levels. And I think the seller, if they commissioned a quality of earnings study, no matter at what point they are in the process that they would want to share that with their investment bankers because their investment bankers are the ones that are cued up and ready to represent them and help them present their business in its best light and, also, provide advice to them throughout the process. Michael Blake: [00:28:39] So, running out of time. We got one last question. and I’ll have to wrap it up. And I know, for you, it’s also busy season, so we do want to keep you away from it too long. The deliverable of the quality of earnings report, how is that typically used? Does it kind of automatically get sent out as part of the sales package, as a part of maybe the offering memorandum, or is it kept in the data room for part for the due diligence exercise? How have you most typically seen that used? Teresa Snyder: [00:29:10] I think that would depend on the investment banker and probably the results of that quality of earnings study and how they might present that. They may decide to take the time, and make some corrections, make some improvements in the business operations, and then update a quality of earnings. I haven’t personally participated in that, but I could conceive of that happening. Michael Blake: [00:29:37] Okay. So, if someone wants to contact you because we’re running out of time, but somebody who may have other questions, if somebody would like to contact you and learn more about this quality of earnings process whether the buy side or the sell side, how can they reach you? Teresa Snyder: [00:29:51] Sure. You can find me on our website. That’s bradyware.com. My email is tsnyder@bradyware.com. And, also, my direct line is 678-350-9510. Michael Blake: [00:30:11] All right. Well, thank you so much. That’s going to wrap it up for today’s program. I’d like to thank Teresa Snyder so much for joining us and sharing her expertise with us. We’ll be exploring a new topic each week. So, please tune is that when you’re faced with your next business decision, you have clear vision when making it. 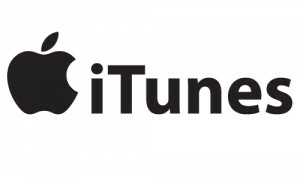 If you enjoy this podcast, please consider leaving a review with your favorite podcast aggregator. It helps people find us that we can help them. Once again, this is Mike Blake. Our sponsor’s Brady Ware & Company. And this has been the Decision Vision Podcast.